Individual students may progress at different rates in a math class. Problem-solving comes easily to some while others struggle with basic concepts. APS4Math, an adaptive web-based tutorial, helps all students regardless of their math skills. Students who need more assistance in improving problem-solving skills are provided with extra help and guidance; students who have reached higher levels of proficiency are provided with less guidance and more practice with problem-solving tasks. To accomplish this, APS4Math integrates assessment and teaching components. While students solve problems, the tutorial continuously monitors their knowledge and skills, and individualizes their instruction, practice, and feedback by dynamically adjusting the student expertise level for each problem-solving sub-skill: text comprehension, problem categorization, problem representation, solution planning/execution, and self-evaluation. "It challenged me. As I got them right it moved me up to harder questions." "It helped me step by step to get through an equation that I couldn't figure out." "It helped me understand what I needed to learn." Teachers claimed that APS4Math’s support and guidance helped students better understand the problem-solving process and how to approach algebra problems. Students with low prior knowledge also felt that APS4Math’s adaptive support and guidance helped them understand the problem-solving process and how to approach word problems. NGLC funding enabled Texas Tech to conduct a “proof of concept” of the APS4Math’s adaptive, web-based learning. 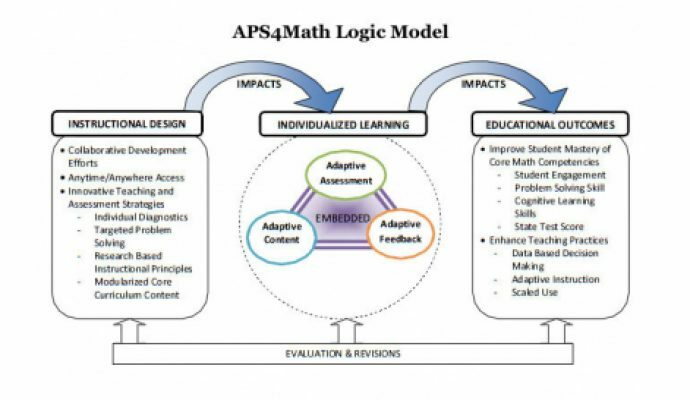 The team plans to enhance APS4Math’s tutorial function, extend its content, and build new partnerships in order to scale the tutorial’s use—initially with Texas schools and eventually nationwide.